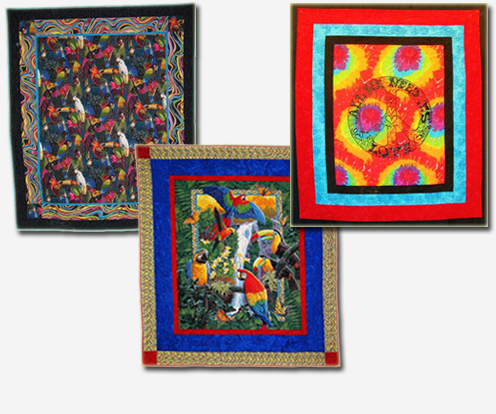 These blankets can be made out of any of our 200+ fabrics. 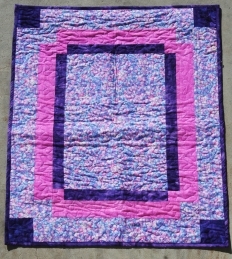 You pick out the fabric and let me know what size blanket you want and I add a couple of borders in some great complimentary fabrics to make it the size you want. 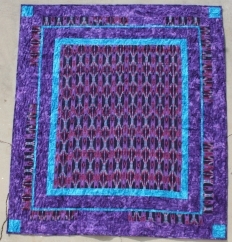 Then I make a matching color backing either in flannel or cotton, whichever you prefer. 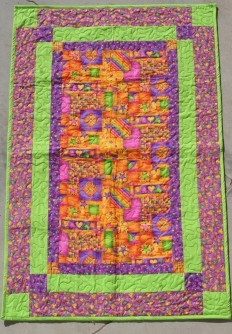 I put a cotton batting in between and then hook the 3 layers up to my longarm quilting machine and quilt the whole thing together. 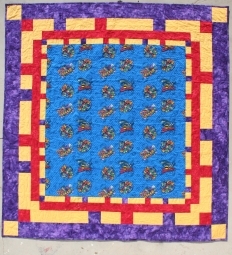 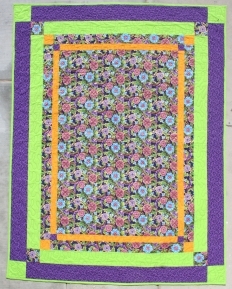 A binding is sewn along the whole outside edge and WOW, you've got a beautiful quilted blanket that is warm and snuggly, in any size you want. 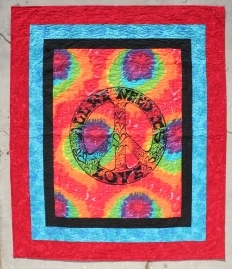 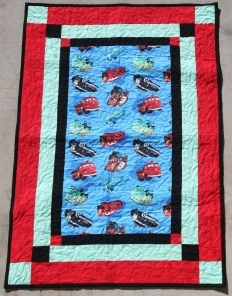 Please call or email for info on these one of a kind blankets!